It’s here! A little recap of my favorite moments from February to keep y’all in the loop of what has been going on with ma life. Feb. was a very fun and exciting month for me! It passed very fast and I believe this was mainly because I followed some of my own-advice from previous posts, & got out of my comfort zone and attended different events and activities which led me to meeting very cool people + I did my favorite all-time hobby and went traveling! I started the month by attending my very first fashion show, The Tommy Hilfiger X GiGi Spring Collection Show. YASSSS. It was very exhilarating as it was right in Venice Beach, with an ALL-STAR attendee list (i.e Lady Gaga & basically all the major fashion bloggers out there! or at least my favs) and a guest performance by Fergie. It was an incredible experience and I now have #MajorGoals of one day attending fashion month and being a part of such a cool and trendy culture/vibe. Also, I celebrated Valentine’s with my love, Guille, which was as I said on my Valentine’s post, a great little remainder of how lucky and happy I am to have someone so special in my life. Finally, I ended the month with a fun getaway and surprise trip to Miami, Florida! I escaped the “cold” weather in L.A. lol and surprised my little brother for his bday in Miami (you can see a photo diary from my trip here). This trip was mainly focused on spending a lot of time with family and friends and it was a good way to end the month and recharge batteries for this upcoming month! Well, there you have it! 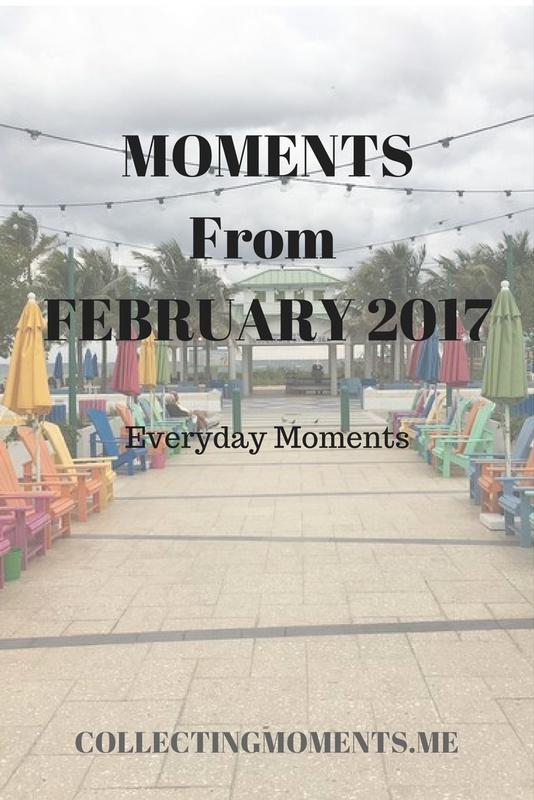 Those are the major #everydaymoments from February. What have you guys been up to?? Any fun/different experiences you would like to share? I would love to hear them!